Proper Exercise - Yoga poses help develop a strong, healthy body by enhancing flexibility and improving circulation. Proper Breathing - Deep, conscious breathing reduces stress and many diseases. Positive Thinking and Meditation - These are the true keys to achieving peace of mind and eliminating negativity in our lives. Along with the Five Points of Yoga, a look at the Four Paths of Yoga completes the picture to give individuals a clear sense of direction for not only a healthier and stronger body but also a way of living that promotes peace and mindfulness to counteract day-to-day trials and tribulations. The Four Paths of Yoga all lead to the same place - union with the Divine - but help in getting there by giving options that fit different human temperaments and approaches to life. Which one fits you best? Karma Yoga (also known as the yoga of action) teaches to act without egoist expectations in all endeavors of daily life ~ home, work, school. It is a good path with someone who is outgoing and enjoys a certain sense of spiritual activism to help others. www.sivananda.org – For a wealth of resources about Yoga. 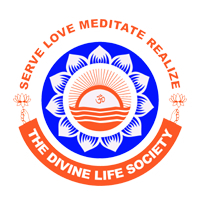 www.acimi.com – Spiritual Awakening with A Course in Miracles, the Vedanta of the West.